A category of products for the road racing, motocross and enduro world. Keihin carburetors and carburetor kits for FCR-MX,PWK,PJ,PWM. 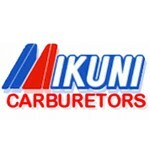 Mikuni RS smoothbore carburetors, HS/HSR,TM,TMX and VM carburetors for all types of applications. We sell jets, needles and repair kits to adjust and maintain these carburetors.